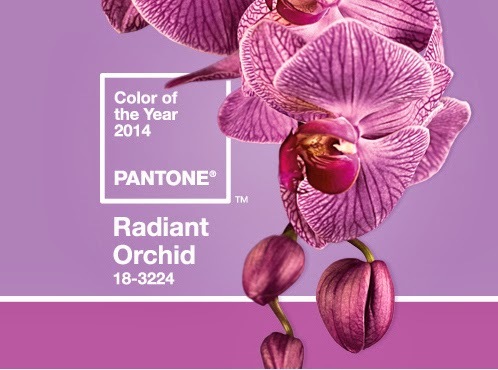 Pantone's color of the year for 2014 is a vivid Radiant Orchid and I've been playing a bit with the color. My first piece was a simple four part braid just to see how the the different shades work together. I felt like my warm up piece read a bit too pink, so for my next piece, I concentrated more on the purple side of things. I knotted a spiral using three shades of orchid and a bit of olive for some contrast. 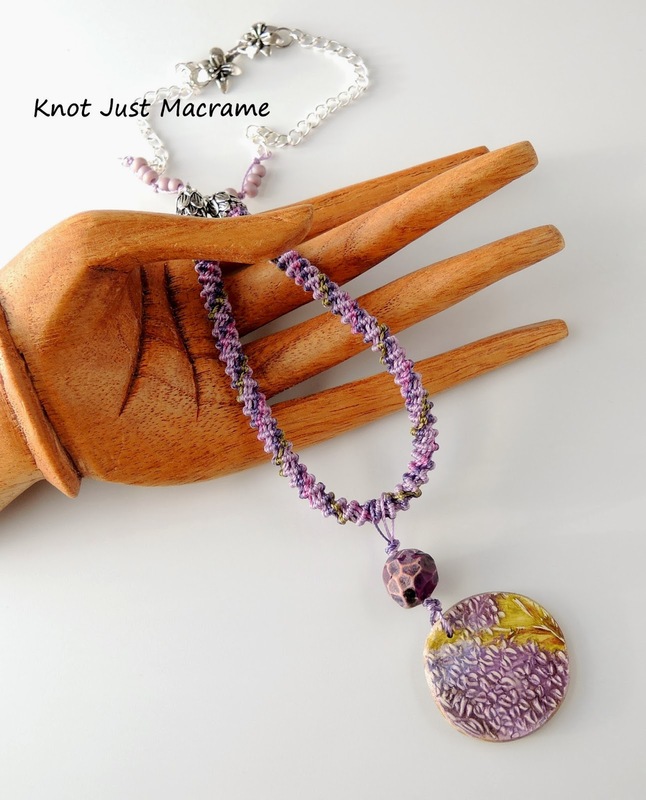 I tied on a pendant with a polymer clay bead by Barbara Bechtel and a pendant by Humblebeads. The bead caps I found mimic the flower petal/leaf theme. The floral motif is topped off with the sterling silver clasp. This necklace is a beautiful blend of the colors. Just took a little tweaking and it is perfect. Love it. Now, this is how to wear Radiant Orchid! I have not been a fan of this year's color...until now. I just love how you've paired it with that deep purple and neutral olive. Terrific piece!